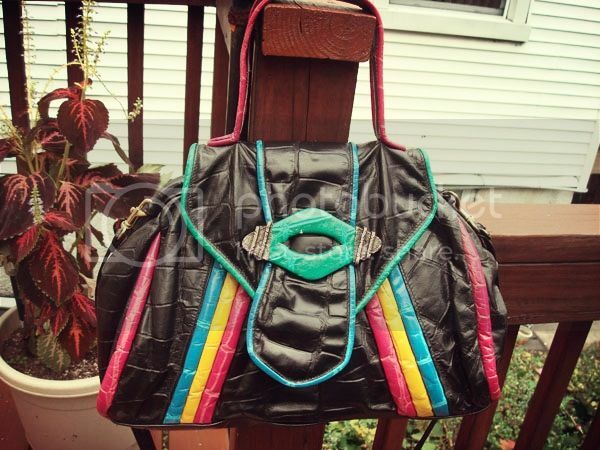 Super roomy and bright, this vintage leather handbag--from the 80's--is a great way to add a fun statement and burst of color into your wardrobe, all while being able to hold all the things we like to carry with us daily. Equipt with a removable shoulder strap, it can be worn with or without the strap. Bag measure approximately 14 inches in length. Add this cute fabulous vintage find to your closet for $7.